Drinkware continues to be essential is every home. Glassware and drinkware are used almost every day and it is the cultural norm to offer guests a drink when they visit your home. Each type of drink requires different drinkware glasses like coffee mugs, wine glasses, and cups. For many of us the first drinkware we use each day is a mug for our coffee or tea each morning. The type of mug you use may depend on the season, your mood, or convenience. Choose from different colors or embody your pesronal slogan with a drinkware mug. Every party calls for different drinkware options. Are you the bartender for the evening? You�ll drinkware for each type of drink. You will need glasses for white and red as well as whisky and martini glasses in order to stock a full bar. Discover a new glass for every beverage type. No matter what you are looking for our drinkware selection covers it all. From bar decor to coffee mugs we have many types of glasses for your enjoyment. Additionally, we have shot glasses, flutes, and tumblers. When entertaining, think of using plastic wine glasses. We offer plastic wine glasses as drinkware in numerous styles and colors. 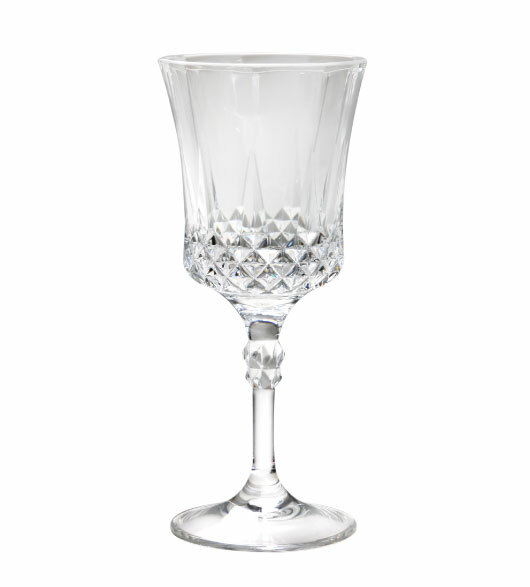 These glasses are great for an elegant dinner party or an evening outside. Don't worry about broken wine glasses again.